After 'The Avengers', What's Next for the Marvel Cinematic Universe? PopcornBiz went directly to Kevin Feige, the longstanding President of Production at Marvel Studios, and the man who charted the ambitious master plan to slowly roll out the comic book company’s superheroes in solo films and ultimately unite them for “The Avengers.” As Feige explains, the studio’s only just begun to tap its very, very deep bench. How will 'The Avengers' affect your future plans? Now that you’ve formally established the shared Marvel Cinematic Universe, what are you hoping to have come out of this? We've always looked at it as the culmination of everything that's come before, but [also] a springboard going forward: a springboard in unexpected ways. The events in 'The Avengers' and the interrelationships between the characters in 'The Avengers,' in some movies we'll play into that more and continue that more. We've already announced the release date for the next 'Captain America' film, and that one, more than any of the other ones, sort of picks up directly from that and continues Steve's relationship within SHIELD. Iron Man can go back to Malibu, can go back to Pepper and go see what Rhodey is up to, can deal with his life as Iron Man. Thor literally goes to other worlds. Cap can't go back in time. Even in our universe there's not a time machine for him to be able to do that. So he's here and he doesn't have a support base of any kind. 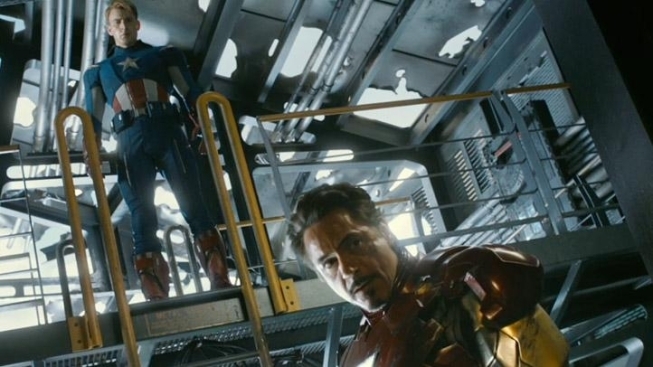 Fury and SHIELD seem to be that support base right now, so it's fun to see how to do it, as opposed to ‘Iron Man 3’ – we're making a very pure Tony Stark-centered storyline there, with very little connection to anyone else. Everything up to this point has been about proving that we can make all of these movies stand alone, and we can make them tie together into the event of 'Avengers’…The next step is proving that these characters can now go back into their own worlds and continue their evolutions. Again, we're not charting new territory here. We're doing what they've been doing in publishing for years and years, and just trying to do it on the big screen. What about the possibility of ‘The Avengers’ also serving as a springboard for Black Widow and Hawkeye into their own films – or a new 'Hulk' film, for that matter? All part of the discussion. 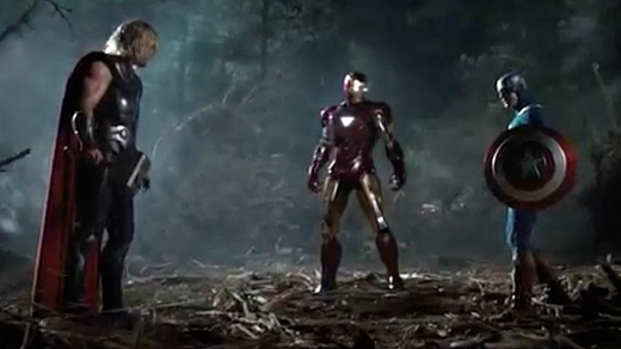 We're very pleased with how Hulk ended up in 'Avengers.' It's everything that we hoped for, and sort of always knew and believed that The Hulk could and should be. What we're not going to do right now is get greedy and go, 'Okay, green light a "Hulk" movie now!' The way that he works in a team environment is very different from the way that he works by himself. While [Mark] Ruffalo, I think, is more than capable of carrying his own movie, we've announced the next three movies and we're going to announce the next one or two after that and 'Hulk' is not going to be among those. So we're certainly going to see where to take him in a responsible manner. Is this the Avengers lineup you want to stick with for the foreseeable future, this group of characters, or will you bring in other characters introduced in the sequel or their own solo film – like, say, Ant-Man? I will say – and look, it's all we could do to just finish this movie, to be honest with you – just speaking for myself, I think that what would be fun about continuing the 'Avengers' franchise is what new characters you introduce in the coming movies, whether they've been in other movies prior to that, which Ant-Man probably would've been by that point, or like Hawkeye essentially was, introduced for the first time in that. I think we'll always try to continue to build that roster. You’ve told me before that you also wanted to develop both the cosmic and magical side of the Marvel universe. Where are you with the projects related to that? Well, the cosmic side, I would say, is certainly well under way with 'Thor,' much of 'Avengers' journeys into that realm. 'Thor 2' takes it even further in the way that we're developing it now. We start filming that at the end of the summer, which is coming up fast. So I would say that the cosmic side is well under way in that and a few other properties that we're working very, very hard on that take place in that cosmic side of the universe. The magic side, again, it's going to be 'Doctor Strange.' Someday we will introduce that side of it, and when we go over that it's going to be through the eyes of Stephen Strange. When that happens, we don't know. Let's assume that this movie does amazingly well, gets all the box office totals you want. How important is Joss Whedon to a second 'Avengers' film? How bad do you want him to do the second one? We will have that conversation. I want him to do it very, very badly, and I think that he did a tremendous job. He needs to rest right now, but certainly those discussions have started. How much did Marvel’s relationship with its now-parent company Disney help you get this movie to where you needed to be as fast as you needed to be? Well, certainly it was already underway when that occurred. What it has done is that when you have 100% dedication and support from a studio and a company the size of Disney, it's unprecedented. It's tremendous. Paramount did great, great work for us on 'Iron Man' and 'Thor' and 'Captain America,' but it was a distribution deal. Disney owns Marvel. They're one thing now. So they have all the motivation in the world to make it as big as possible. So really seeing the team around the world, Disney has a lot of people working for them. Seeing them unleash a Marvel movie on the world has been great, and that's been what's most exciting about that. That, and just the support that they've given us. Even to talk about Marvel Studios in the same sentence as Pixar, which they do in terms of allowing us to make our own things, is incredibly complimentary and certainly boosts our confidence. How much do you let Joss and other directors bring in what they want to do story-wise, character-wise, and how much of a road map is there from you, saying that you want to hit certain beats to keep the universe cohesive? There's always a little bit of a road map. There's always some pillars within – I don't know what metaphor you want to use – building a house or whatever, we've got a foundation and some pillars about where we want the structural walls to be, but we don't want to hire filmmakers that just color by numbers. We'd hired very different filmmakers if that's all we wanted. It's not. We want to bring it to life and make a better house, a better whatever metaphor you want to use than we ever could think of. That's what Joss has done. There were pillars. He'll be very honest with you about what the pillars were. He inherited most of the cast and where those characters were coming from. In some cases he knew where we wanted to take them, and in some cases didn't, but he sort of knew and has said that it was nice for him. He said the toughest part for writers is that when you encounter a fork in the road, like, 'Which way do I go?' At Marvel we would say, 'No, not that way.' He said that liberated him to find a bigger and more clear direction. But other than the roster, the roll call of characters, the notion of the Helicarrier – which we really wanted to bring into it – and to sort of utilize SHIELD as the glue of The Avengers and a big, final battle in Manhattan with Loki at the forefront of it, he did it famously. In your partnerships with other, non-Disney studios on Marvel Comics properties – Sony with Spider-Man, Fox with X-Men and Fantastic Four – are you finding that they're more receptive to the Marvel Studios way of thinking on their new projects? It varies. Frankly, even before we became our own studios we'd been working very closely, for five or six years, with those studios and they had come to, I think, value our opinion and understand what we had to say. I don't spend as much time on those other movies as I used to because our main responsibility is to the movies that we are completely doing on our own, but I do think that, frankly, every comic book movie informs the next ones. So I do like to think that they saw the success of our movies and used that as an inspiration to theirs, just as we do with 'Dark Knight' or choose your great other non-Marvel comic book movie that inspires us, or even J. J. 's [Abrams] 'Star Trek' which I'm obsessed with. I felt like there was some subtle influence from that movie in this film. Well, I don't know how much of that I would say is intentional, other than just Joss and J. J. having similar tastes and senses of humor. But any good movie informs the next one. Can you envision a day where you did studio co-productions so that, say, Spider-Man and Captain America could be in a film together or, going nerdier, X-Men’s Beast could join The Avengers? Well, look, there's certainly no plans for it or have been any discussions about anything like that, but seven years ago nobody would believed that 'Avengers' would've been possible. So, I've stopped saying ‘never’ to any of those questions, but I don't know when that would be.